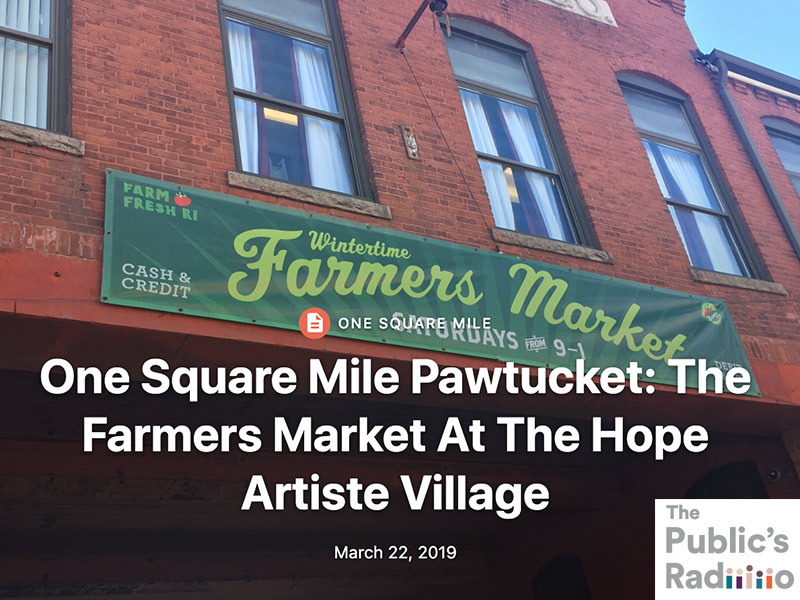 RI Public Radio’s Sofia Rudin has been working on a series of stories about Pawtucket, called “One Square Mile” — today’s feature takes a trip to our Pawtucket Wintertime Farmers Market! The Hope Artiste Village in Pawtucket is a former textile mill, now home to over a hundred and twenty small businesses. Among them: a bookstore, a bowling lane, and many art studios. Since 2008 it’s also hosted Farm Fresh RI’s weekly wintertime farmers market. Sofia Rudin takes us to the market in this audio postcard for our One Square Mile series on Pawtucket.